Welcome back to #TeacherFeature! Every Wednesday this month I’ll be highlighting the work and career of one of my favorite educators and talking about how they’ve influenced my career and teaching philosophy. Today I want to shout-out one my close friends, and someone I’ve known for a long time as a inspired, dedicated educator and musician. She’s turned her generous, compassionate heart to helping the underserved kids of North Minneapolis grow community and self-confidence through music. Please welcome to the blog Ms Teresa Campbell! Teresa and I met at the University of Wisconsin when I was a freshman in 1999. I admired her ability to take on all styles of music, and in particular, her compositional bent. It was unthinkable to me that I would be able to present something that I wrote as musical viable, and watching Teresa perform her own music was part of a big change in my mindset. We lost touch over the years and reconnected in Minneapolis, sharing a common love of music and social justice education. These days, Teresa performs regularly around the Cities as a violinist, including in the Stone Arch Collective (oboe, violin, viola, and cello), which was one of MPR’s ClassNotes Artists in AY1516. 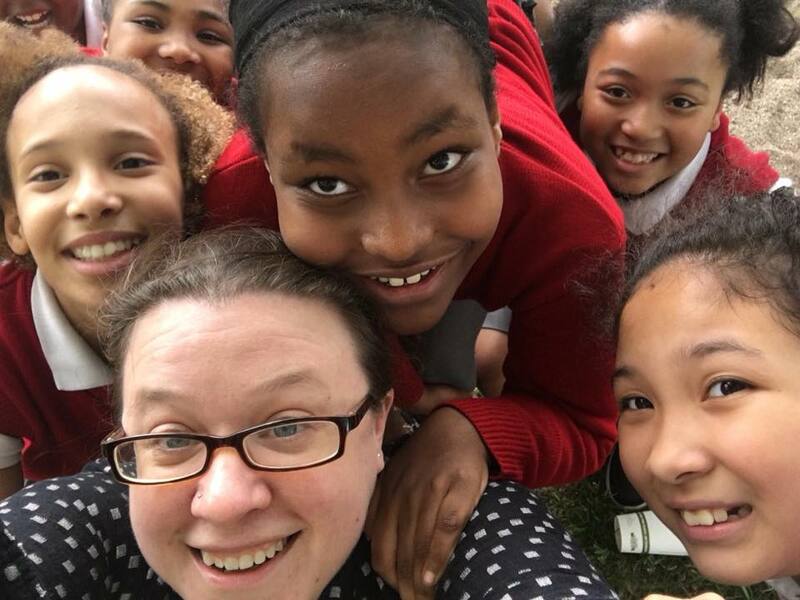 But her career really centers around the work she does as an El Sistema educator for MacPhail in the North Minneapolis schools Harvest Prep, Ascension Catholic, and the MacPhail Northside Youth Orchestra. 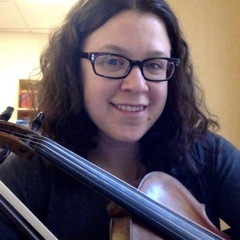 What I love about Teresa’s teaching is that it’s not about making her young string players flawless musicians, but rather, about building safe, inclusive communities in her programs and then encouraging her students to explore musical journeys they might not otherwise have access to. Her posts on social media frequently display her deep care and concern for the wellbeing of these kids, many of whom face poverty, broken family structures, and violence as part of their daily lives. Her orchestras offer a haven from these stressors, a place for kids to be themselves and grow as young, vibrant people. In addition to her work in Minneapolis’ North Minneapolis neighborhoods, Teresa recently earned a second masters in English as Second Language, and is an advocate for homeless youth through the work of Covenant House. I am beyond proud to call her a friend and a colleague and I know she is creating a lifelong legacy of compassionate music education that will touch many youth for years to come.